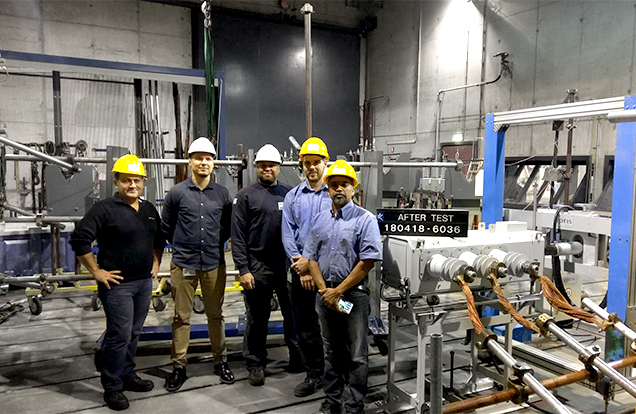 5 June 2018, Amsterdam Netherlands – Australian Switchgear Manufacturer NOJA Power today celebrates the successful Type Testing of their new VISI-SWITCH® product. The VISI-SWITCH® is the world’s first Solid Dielectric Insulated Load Break Switch with integrated Visible Isolation gap. The VISI-SWITCH® has been type tested to IEC 62271-103 at the KEMA Laboratories in Arnhem, the Netherlands. 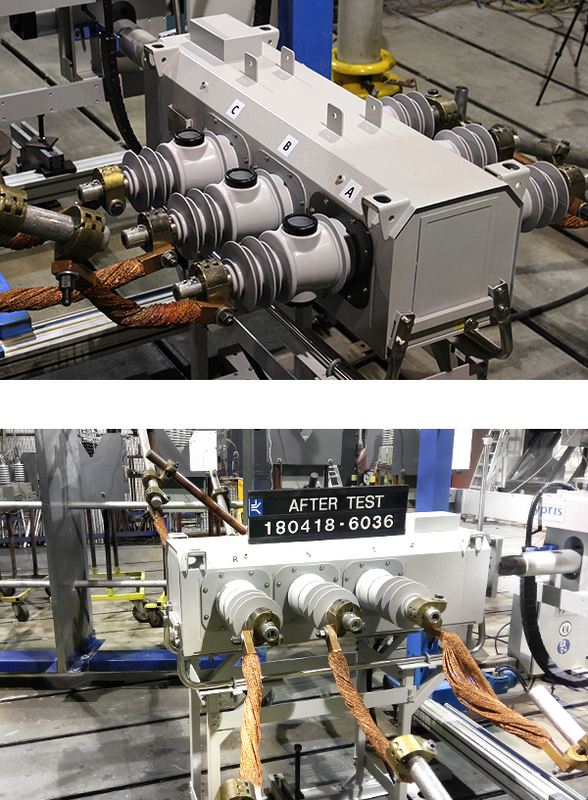 With the successful completion of Type Testing, the NOJA Power VISI-SWITCH® is now ready for market service as a final design. The VISI-SWITCH® type test result is the product of a three-year Research and Development program at NOJA Power. The company invests a substantial proportion of revenue into its ongoing R&D program, generating a multitude of patents and intellectual property. The VISI-SWITCH® represents an evolution in distribution switchgear technology, where the cascaded Isolator and Vacuum Interrupter provide a system architecture that delivers both electrical interruption capacity and exceptional safety. NOJA Power’s manufacturing campus in Brisbane Australia has been expanded for construction of the VISI-SWITCH® production lines, as preliminary utility demand indicates volumes significantly higher than their Recloser product. Internationally, utilities have placed orders for units prior to the verification of type testing – an unusual practice for capital equipment but highly indicative of the market demand for this class of product. The culture of innovation that NOJA Power is fostering is shared with the vision of the world’s utility operators as they evolve their grids to meet the requirements of the future.